I got two lots of happy mail today - some winnings from a Magenta challenge, and my new design team stamps from STAMPlorations. We'll be having a blog hop on 26 June to celebrate the new release and STAMPlorations' first birthday, but in the meantime, here's a little preview of some of the stamps. Shery is offering an early bird discount of 30% off the whole release between 9 and 20 June. The chalk scribble images and the HB2U are from the Vignette: Celebrate Artsy set. I've teamed them with images from Woodware Mini Flowers, and the scribbled lines are from my pen. I noticed a spike on my statistics this morning: apparently 1250 of you were all looking at my blog at exactly 8 a.m. Seeing as I only have 135 followers, I don't think so! It's done wonders for my viewing stats, but it's a shame that it's not true. Technology, huh! Love the card, do so love bright colours. Maybe you have 1115 followers thru Feedly. They all follow your blog just its done thru Feedly so doesnt show up as followers, if you get mt drift. 1,115 Feedly followers all hit your blog this morning, sounds good hey! I just got the JUNE bundle, so happy with it!!!! HUgs!!!! Thanks for joining us, I SO ENJOY it!!!! 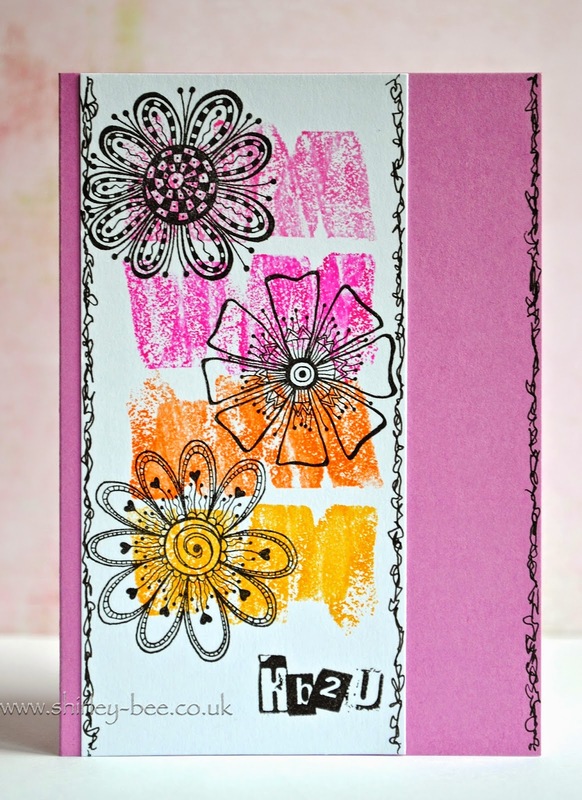 Love those brush stroke stamps Shirley! 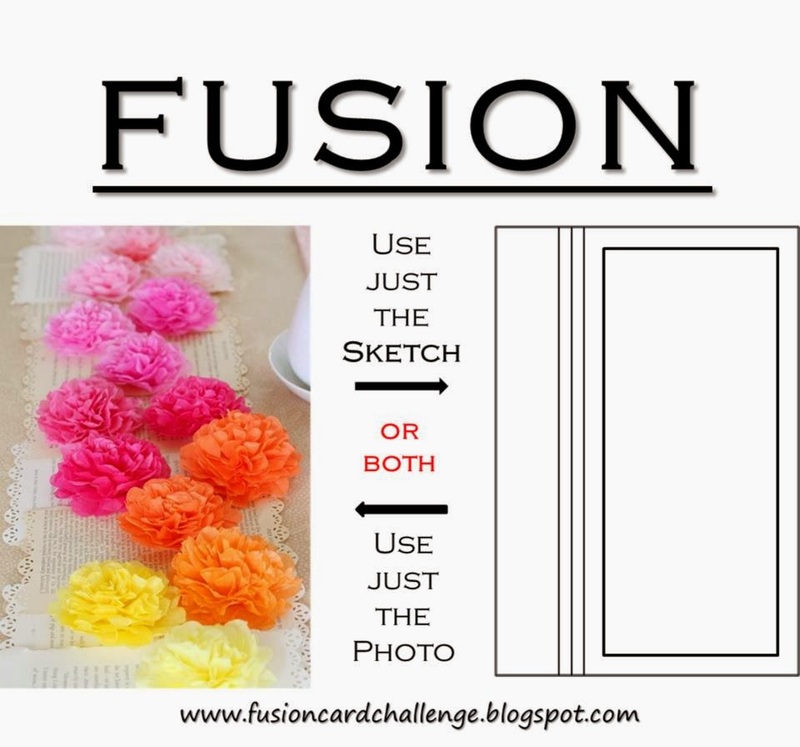 what a great card for the Fusion Challenge - thanks for playing again! Oh what a colorful and artsy card, Shirley!! Love this! You sure have a cool Zen Doodle look happening here! Looks great paired with the paint strokes and the neato-mosquito sentiment! Love the doodle look of your card. Thanks for playing along at FUSION!